It’s about that time of year, Arkansas. That seemingly minuscule portion of the calendar where Arkansas’ weather is absolutely gorgeous and all you want to do is eat, sleep, work, and play outdoors. While we can’t help you with most of those activities…we do know one of the best dining outdoors is done with food trucks. 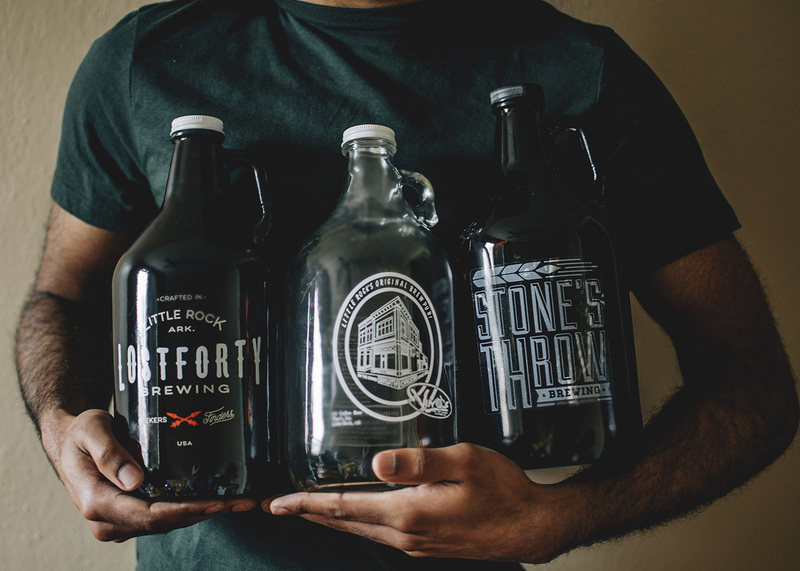 Little Rock’s food truck scene, not surprisingly, has seen a lot of changes since last spring. Some comings and some goings, but overall, there’s some real positive energy in our food truck fleet. Gone are the days of the “food truck novelty.” People aren’t eating at food trucks simply because it’s intriguing. The food has to be exceptional and consistent in today’s world. So we’ve decided to issue a challenge to our loyal community of food truck junkies…The 2016 Food Truck Checklist. Get out there and cram down as many of these items as you can. The reward for tapping every one of the items on this list? My undying respect and love. Eat away, truckies! 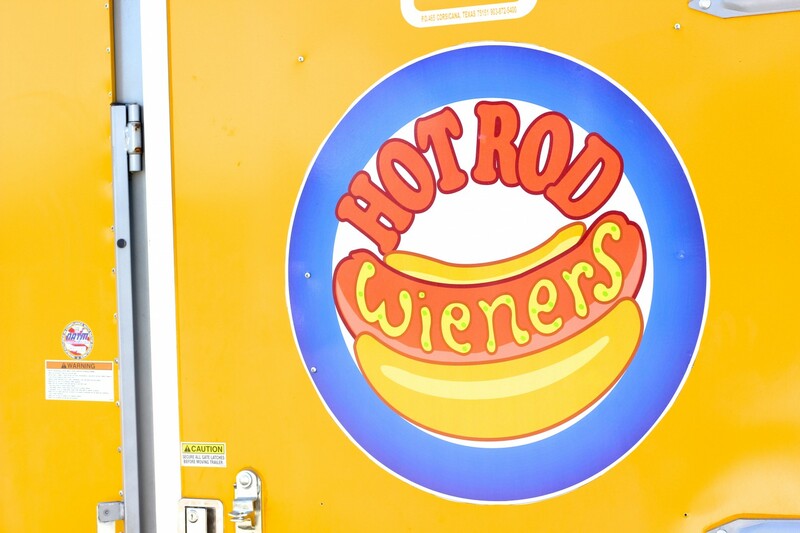 Wunderbus’ “Charlie Daniels Kielbasa” – This Germanic concept is the hottest new kitchen to hit the streets. 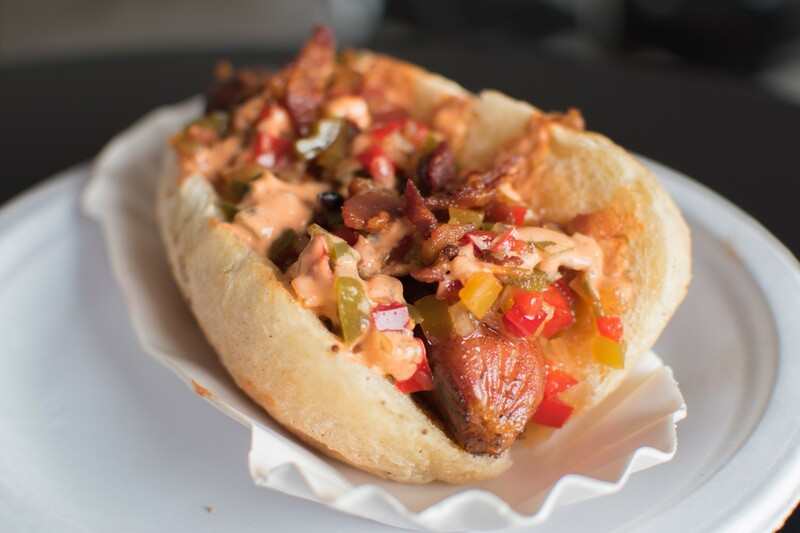 They’re focused on straightforward German street fare…and nothing says Germany like a big sausage…this one with pepper relish, spicy mayo, and bacon. Excaliburger’s “Grilled Cheese Bun Burger” – If you’ve eaten here, you already know…it’s one of the best burgers in town. Adding a grilled cheese bun on top of an already excellent burger may seem like gilding the lily, but trust me…it’s worth a sample. 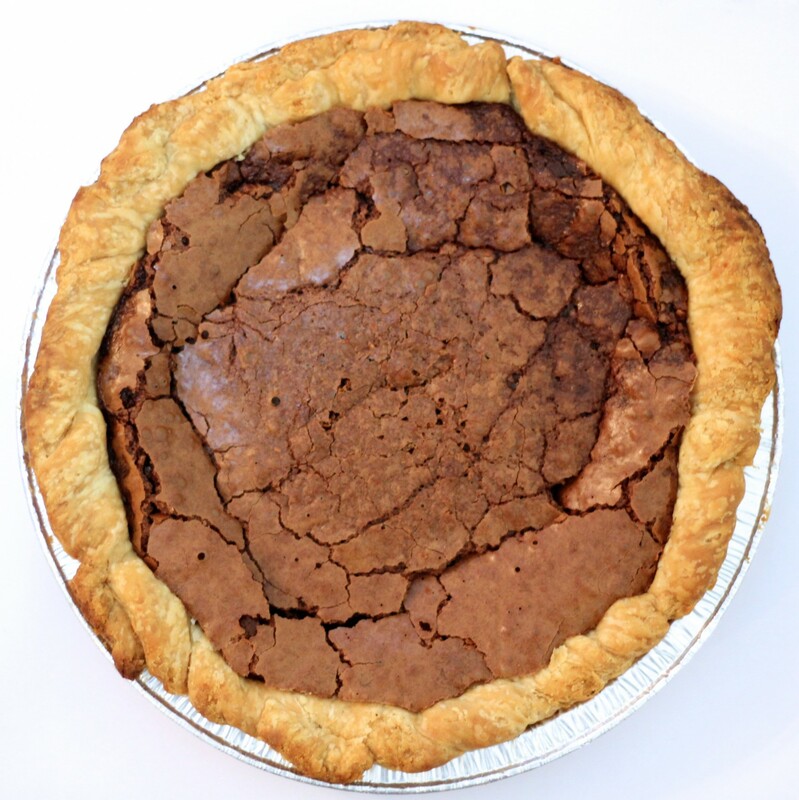 Honey Pies’ “Chocolate Fudge Brownie Pie” – I’m cheating here just a bit. Honey Pies isn’t actually a truck, but Sharon and her crew are popping up at food truck gathering all over town. If you haven’t sampled her wares, might as will start with the pie that got me hooked in the first place…this lovely chocolate pie. You won’t regret it. Waffle Wagon’s “Go Bananas” – Waffle Wagon cooks everything to order. That and their general popularity can sometimes mean substantial waits. But they’re still one of the scene’s top dogs for a reason. I’ve found that some of my favorite items from their menu are the simplest…and this waffle with bananas, maple, and brown sugar definitely hits the spot. 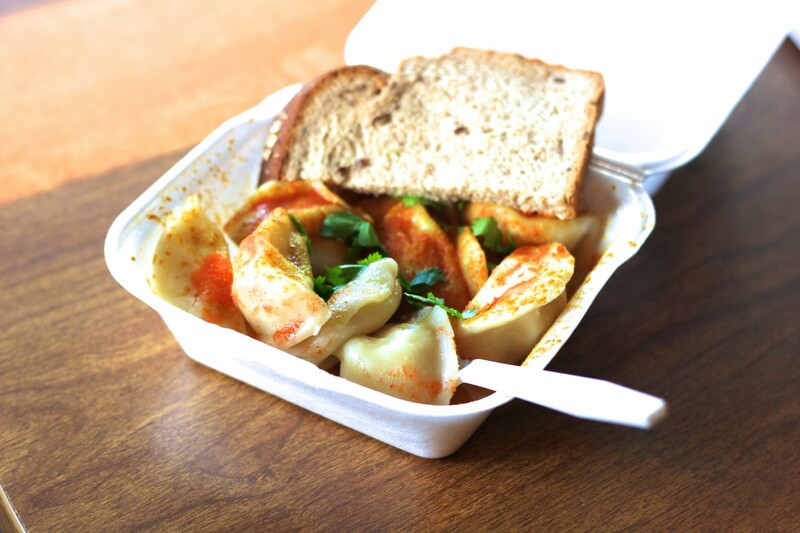 Slader’s Alaskan Dumpling Co.’s “Pel’meni” – Perhaps the most unique food truck option of the entire lot, you’ve got to get your hands on Slader Marshall’s take on Alaskan dumplings. They’re unlike anything I’ve ever tasted. Katmandu MoMo’s “Beef Momo” – I got my first taste of Katmandu last fall, and I was really impressed with what they’re putting out. Nepalese dumplings aren’t something you see on every street corner…even in the biggest food cities. Get you some. Hot Rod Wieners’ “Frito Chili Pie” – Yeah, their hot dogs are great. But they’re expanding their menu a bit, and what I’m craving right now is their Frito pie with housemade chili, cheddar, onions, jalapeños, and sour cream. Get it while it lasts. 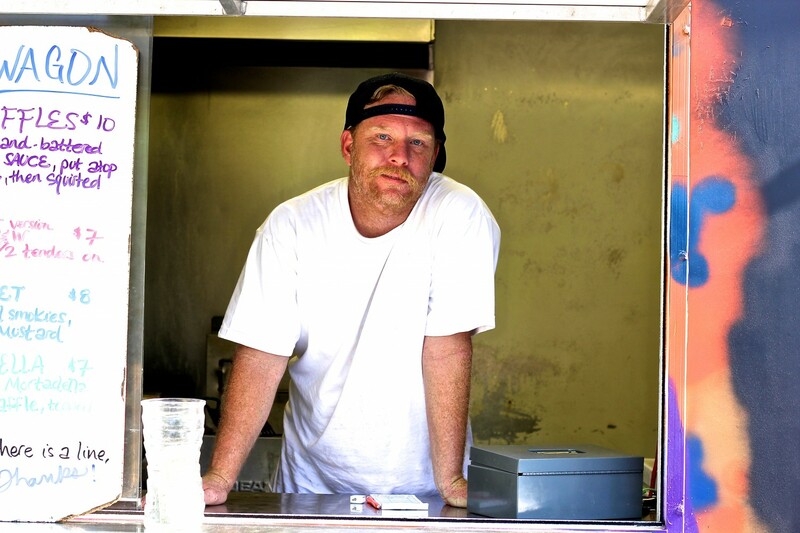 Wok ‘n Roll’s “Khao Piak” – This truck is one of the more elusive eateries for Little Rockers, as owner Tam Pimmack and crew generally spend most of their time in Russellville. 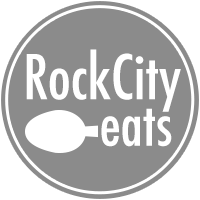 But look for them to make some appearances in The Rock soon, and be sure to slurp down some of their popular version of chicken noodle soup. 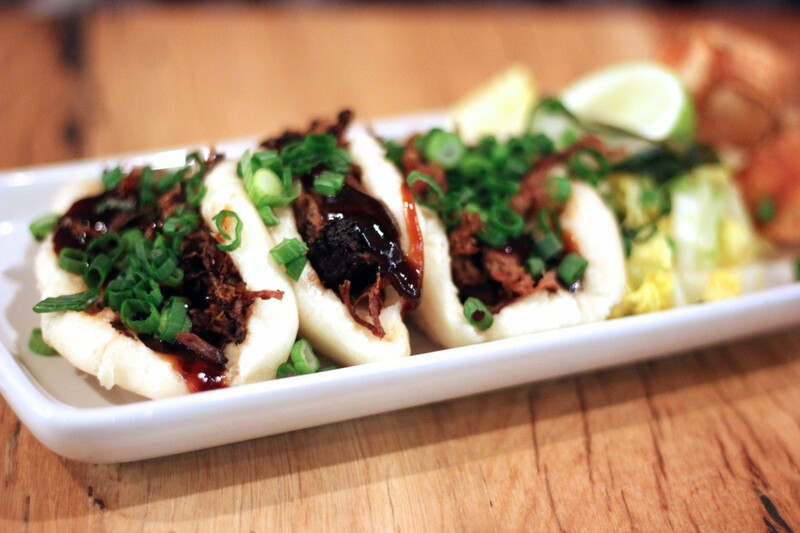 Southern Gourmasian’s “Steam Buns” – With their brick and mortar now in full force, there’s always a chance to nab some Southern G. But there will always be a special place in my heart for their O.G. truck food…and their steam buns are still fantastic after all these years. 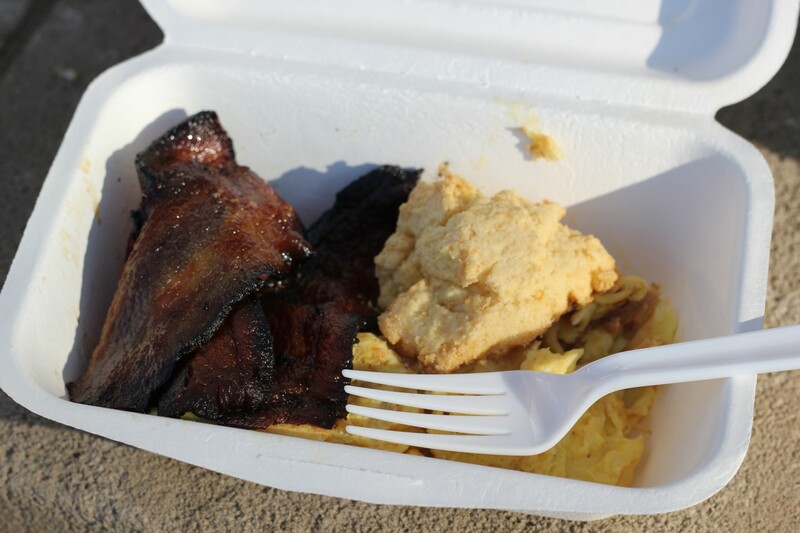 Beast’s “Bacon” – With a name like “Beast” you expect the meat to be special. And it is. Especially the bacon. It’s not on the menu everyday…but when it is, you just need to eat it. If you don’t, Gwen will probably punch you in the throat. Kinkaid’s Coffee “Espresso and Donuts” – This sleek cart may not boast much in size, but their coffee is big and bold enough to keep people coming back. 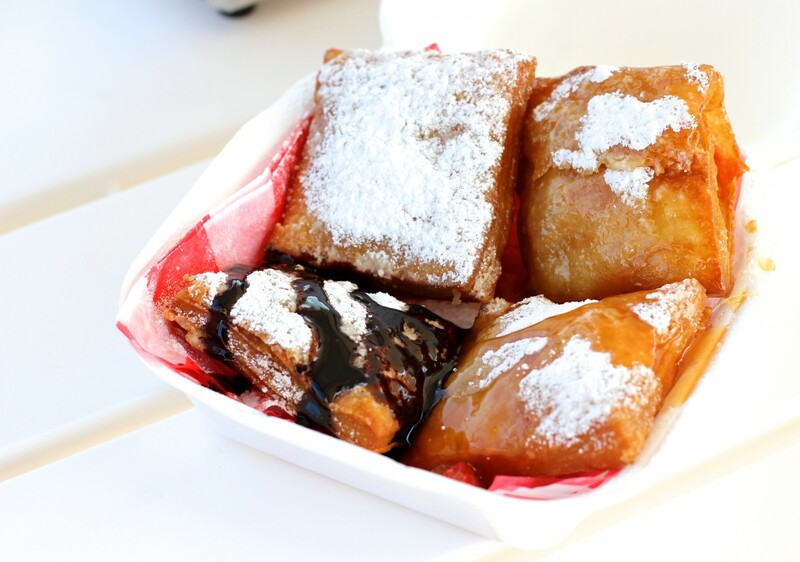 They’ve also started frying up some tempting bites to pair with your Mountain Bird beans…items like mini donuts and churros. I like that a lot. Black Hound BBQ’s “BBQ Nachos” – It’s meat, nacho cheese, and BBQ sauce. There’s no way that could go wrong. Go for the beef version…sauce it up, and enjoy a no-frills, but altogether pleasant Black Hound experience. Brown Sugar Bakeshop’s “Oreo Pie” – In truth, the Brown Sugar truck hasn’t even hit the street yet…but I’m glad it’s coming, as we seem to never be able to keep a good sweets truck in the game for very long. What are they serving? 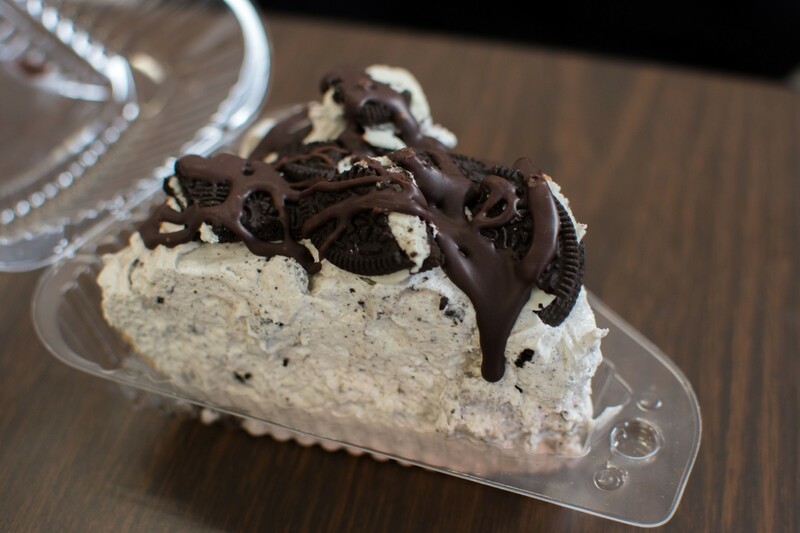 Not real sure yet…but if they continue what they were doing at their temporary gig at the Station 801 Food Truck Stop, you’ll want to grab some of this sweet, creamy, Oreo pie. Fathead BBQ’s “BBQ Fries” – Don’t tell your cardiologist about this one, but Fathead will load up some French fries with chopped pork, nacho cheese, slaw and BBQ sauce. And it’s pretty darn good. Might want to run a marathon or two afterwards to fight the scale, but that’s no biggie. Ocko’s Hibachi Island’s “Chicken Katsu” – Chicken gets dipped in tempura then doubly-coated in panko bread crumbs, fried, then thrown on some rice. It’s enough to impress in any setting, but especially inside a food truck. 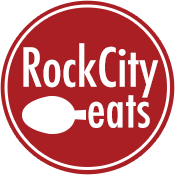 Rick’s Beignets’ “Beignets w/ Honey” – Rick has proven to be quite a well-rounded Cajun/Creole chef since first opening to a menu focused mostly on sweet and savory beignets. He’s looking for a brick and mortar in the near future, so he may be out a bit less, but he’s still going strong. First timers need to sample the classic beignet with honey.